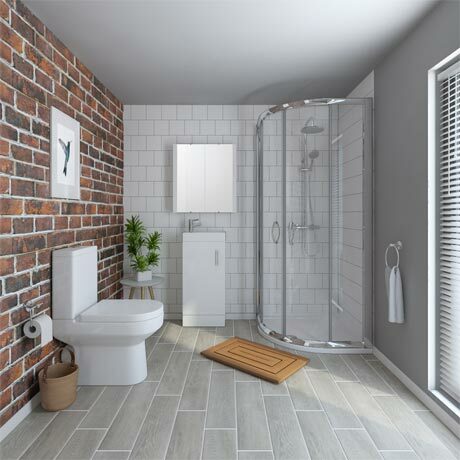 The Harmony shower enclosure suite features a compact floor standing basin unit and modern close coupled toilet finished in a brilliant white gloss, ideal for giving your en-suite a fresh and clean makeover. The quality quadrant shower enclosure comes with 5mm toughened glass sliding doors providing easy access and a beautiful easy fit satin chrome finished frame. Supplied with a sleek, strong white acrylic capped pearl stone shower tray. Create a relaxing stylish retreat in your bathroom. Good value made our bathroom look great.